Managing a content strategy will more often that not involve multiple people, multiple networks and if handled poorly, multiple problems. 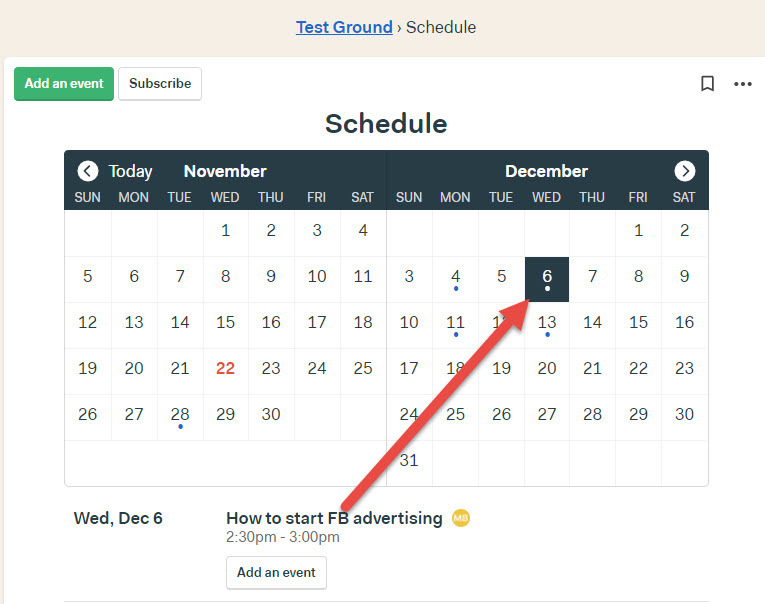 This is why it’s important to keep your plans in a central location using an editorial content calendar, so all contributors can see the latest changes and updates and can plan their own content accordingly. There are numerous tools that can help manage your content schedule so below I’ve curated a list of the top 4 tools that will help you build an editorial content calendar with tools you may already be using in different ways already. 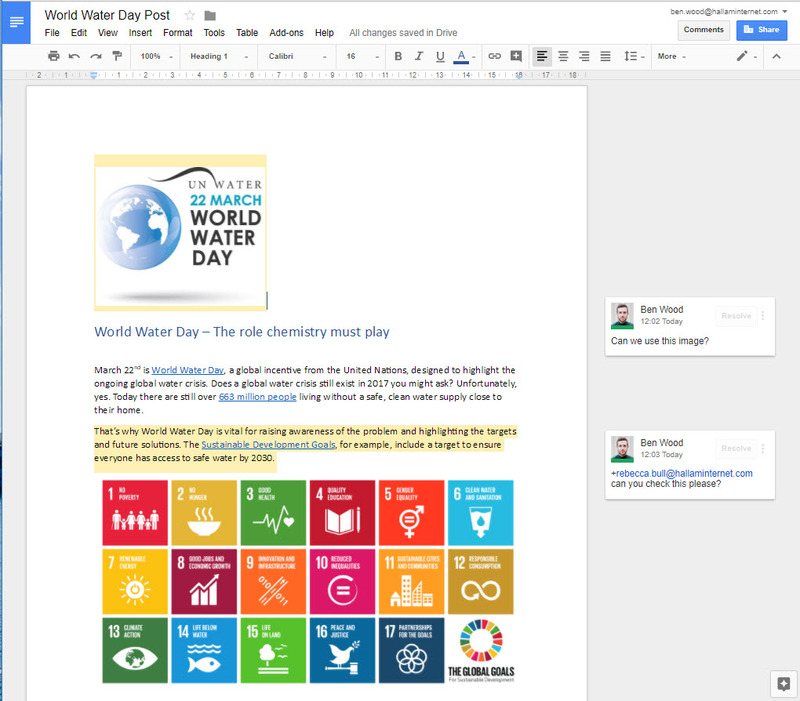 Google Docs is free, easy-to-use, and designed for collaborative working. 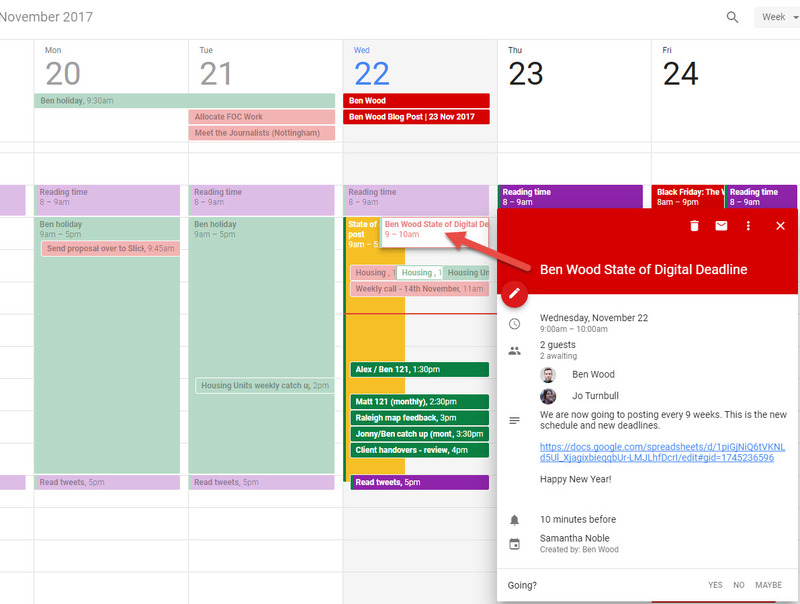 In fact, we use Google sheets in tandem with Google calendar here at State of Digital to plan our contributor calendar. This can be achieved via a handy add-on for Google sheets which allows content managers to create events based on the information listed in rows on Google sheets. 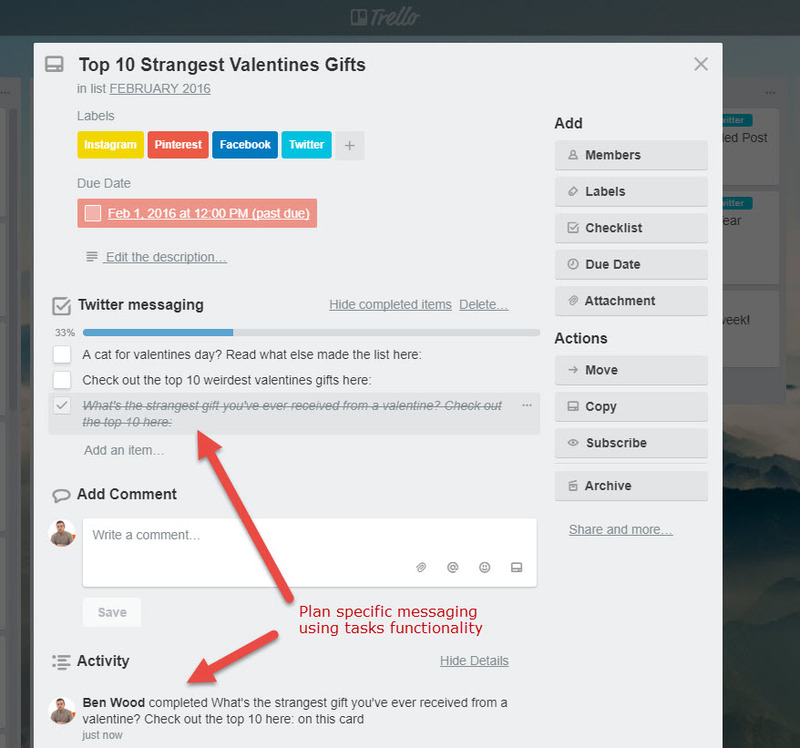 Trello is another tool that’s highly effective for team collaboration. I have previously utilised Trello’s customisable “boards” to manage content calendars in collaboration with certain clients, plan social media posts and brainstorm ideas. 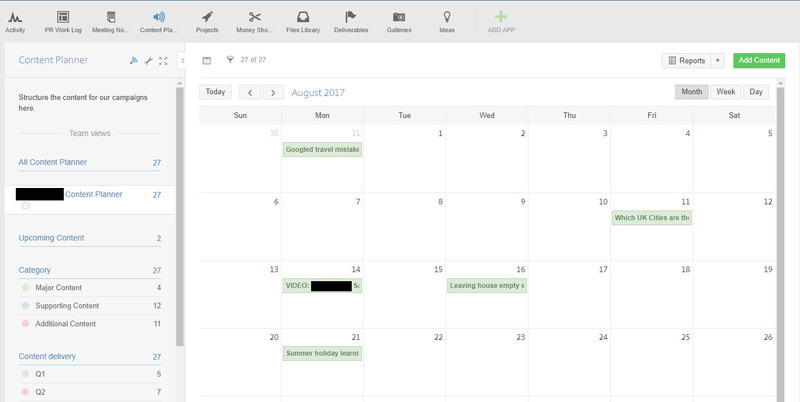 Trello also offers a full calendar view (shown below) using the due date functionality, which makes it easy to to view which posts are going out when. 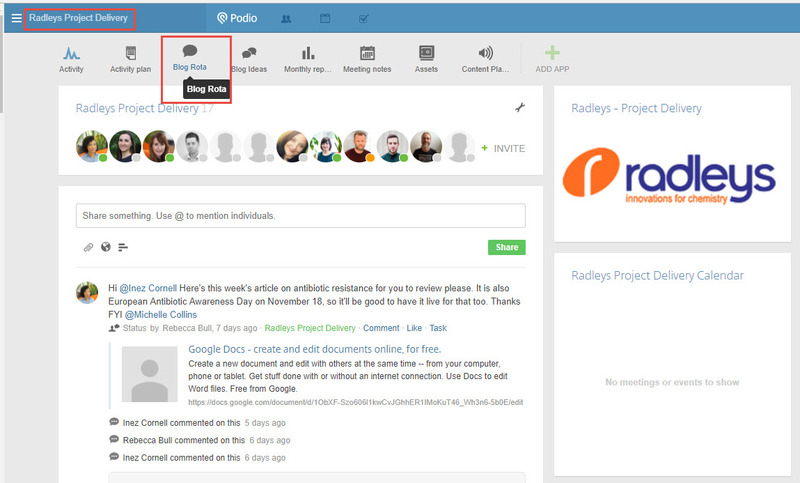 At Hallam, we use a project management tool called Podio to effectively manage all aspects of our agency. This includes accurate measurement of paid for client hours, tracking client communications, tracking retainer and project fees, reporting on employee utilisation, tracking management KPIs, monitoring staff holidays, recording expenses, automating invoicing, managing our internal training calendar and much more. 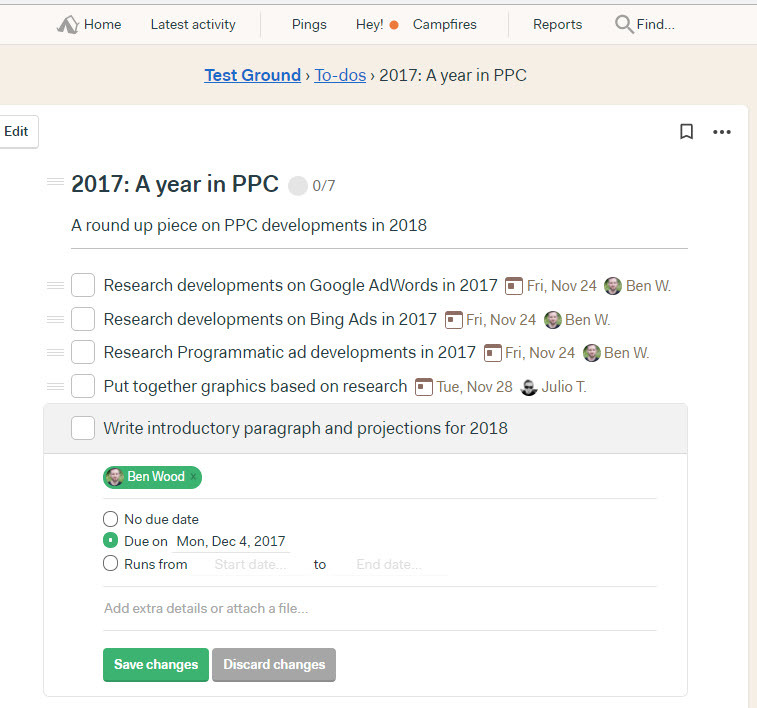 Basecamp is another project management platform that has the capacity to be used to manage an editorial content calendar. 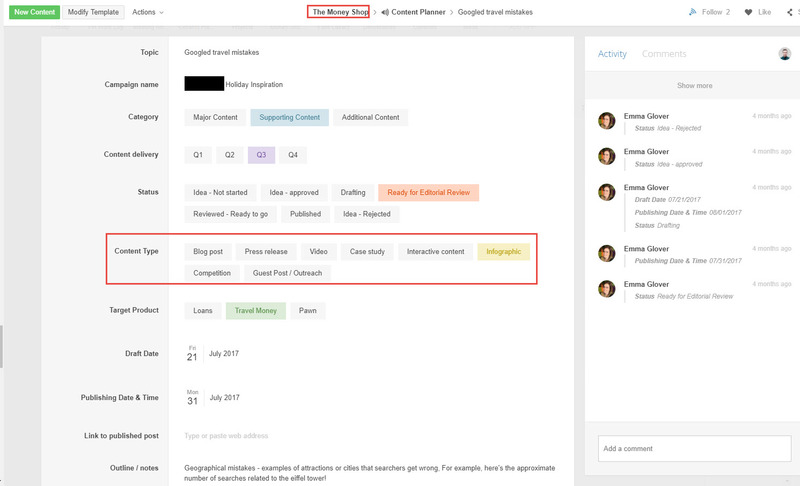 If your company already uses Basecamp for project management, it should be your first choice for managing a content calendar. Now that I’ve provided a few tools to help plan your editorial content calendar, it’s up to you to experiment with them and find the right fit based on your specific requirements. Working as part of an agency, I often end up using a combination of these tools for different clients – some clients prefer the simplicity of Google docs whereas some like to work on highly customised calendars created using tools like Podio. Of course, every team is different, and it could be that a combination of these tools could help you manage your strategy more effectively rather than relying on a single platform. 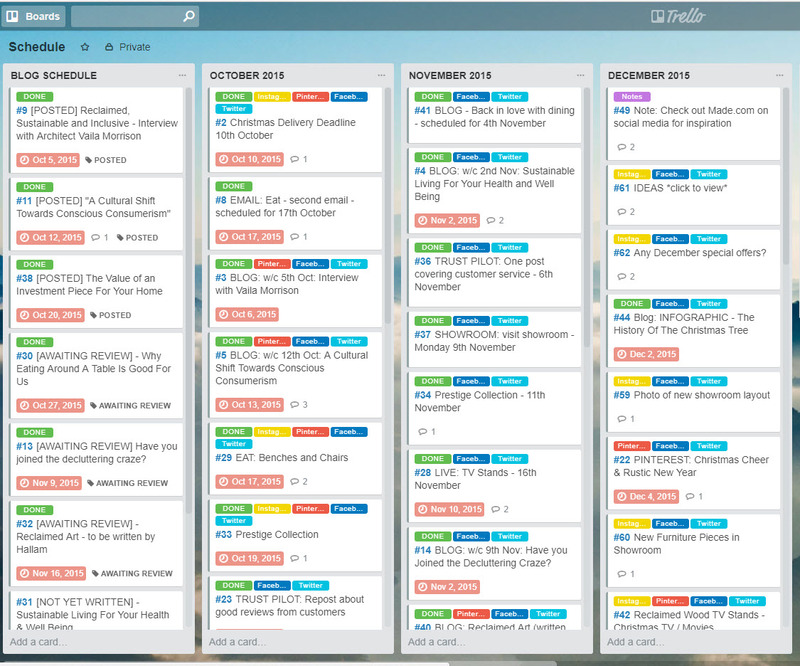 What tools do you use to build and manage your editorial content calendar? Share with us in the comments below.